John Clarkson joined The Carpenter Health Network in 2014 and serves as Vice President of Business Development. Responsible for leading and driving the strategic growth of the organization, John ensures that our Patient Care Representatives and Regional Leaders are equipped with the tools needed to bring our full continuum of care to the communities in which we serve. “The Carpenter Health Network is in a unique position to offer patients options in the home that they would not otherwise have. Our full continuum model, partnered with our sister companies, will be instrumental in keeping patients safe, comfortable, and always in the appropriate level of care,” Clarkson says. After earning a Bachelor’s in Healthcare Services Administration from Auburn University in 2001 and completing his Master’s in Healthcare Services Administration from University of St. Francis in Joliet, IL, John began his now 17-year career in home health and hospice sales, management and operations. 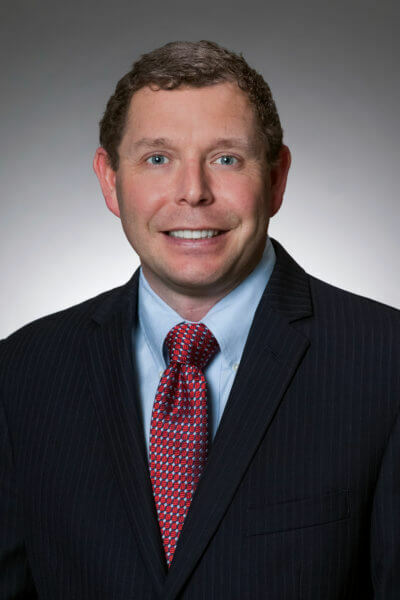 John first joined The Carpenter Health Network as Regional Sales Director for STAT Home Health and St. Joseph Hospice where he worked closely with both sales and operations to develop market strategies and partnerships throughout Louisiana. John continued to demonstrate his leadership skills and advanced to the role of Area Vice President of Training and Development, responsible for onboarding all new employees and special project initiatives. John and his wife, Holly, live in Fairhope, Alabama. They enjoy sailing competitively, deep sea fishing, and traveling.